Wadi Disco – In the morning we will pick you up at the reception of your hotel in Dahab and you will travel to a Bedouin village. If you stay in any other part of Egypt such as Cairo or Sharm El Sheikh we can of course organize the transfer to Dahab. In the Bedouin village you will meet your guides and your future companions, well trained gentle camels. You will now start your safari through the Sinai Desert. You will pass by Wadi Gibi, once a riverbed, today a dry valley. Then you will hike to the great sand dune Al Heduda – it is really something special as the Sinai desert consists mostly of mountains and doesn’t offer a lot of space for large dunes. You will enjoy a great break; you will have lunch and you can wander on the dune. In the afternoon you will head to our camping place at the Gebel Mahrum mountain where you will enjoy your first dinner in the open and the first night under the stunning starry sky. 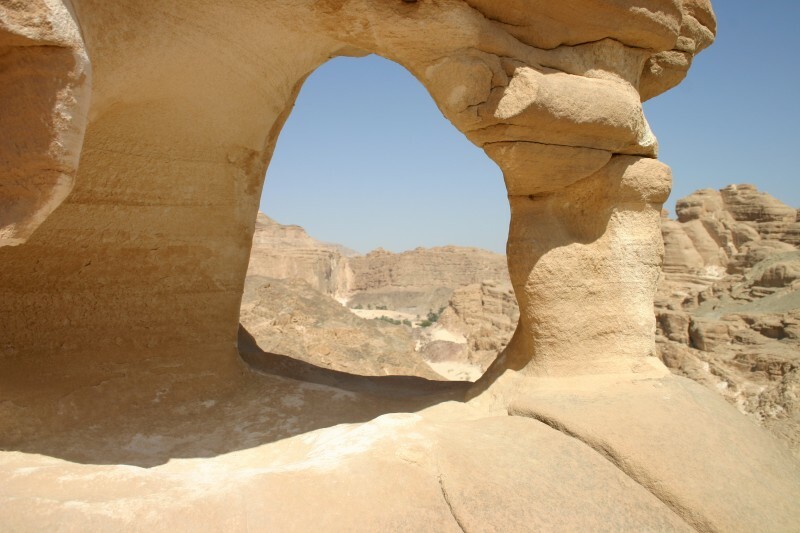 After breakfast you will continue your ride through the beautiful landscape with its stunning sandstone formations until you will reach the idyllic spring Bir Safra situated at an open area where two valleys cross. You can refresh with the spring’s clear water while your meal will be prepared. Then you will enjoy riding on through the scenic deserts towards today’s camping location at the mountain Gebel Al Mutamir. 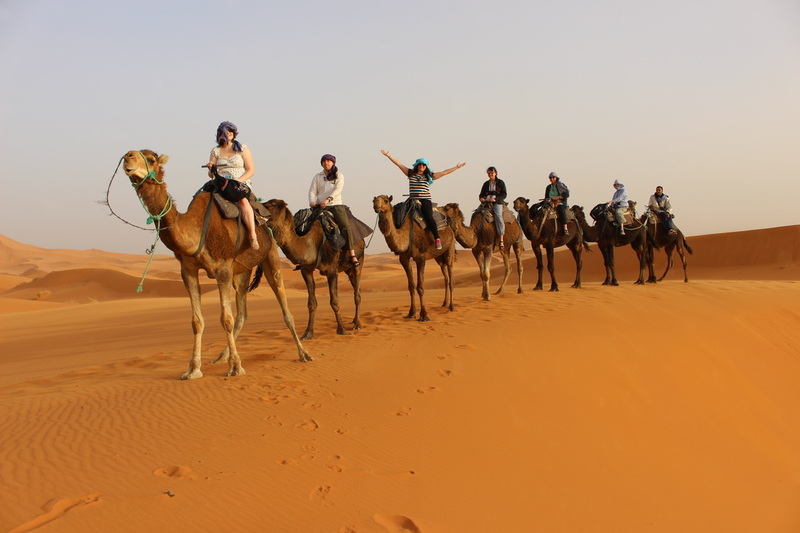 After breakfast you will explore the fascinating desert scenery with its countless rock formations from the back of your camel. Then it is time for some culture – you will visit the Nawamis, prehistoric circular burial chambers built of sandstone. After lunch you will ride to the amazing White Canyon. It received its name because of its splendid bright rock walls. Take your time to enjoy the unique landscape while you trek through the canyon, and keep your camera ready! After this great experience you will reach the idyllic green Ein Khudra Oasis where you will encamp; repose and enjoy a bath in the spring before you will have dinner and go to sleep. After breakfast (and, if you like, another bath in the well) you will ride through the beautiful colored sandstone landscape until we reach the famous Wadi Ghazala, one of Sinai’s longest valleys, which is named after the gazelles that are told to graze here. 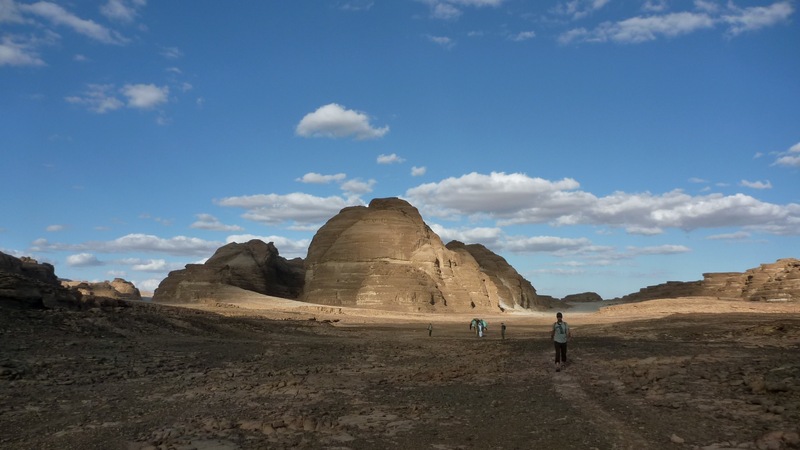 It is a great and fascinating part of the desert, with sandstone rocks, caves, dunes, broom and acacia trees. In the late afternoon you will set up camp. After breakfast you will ride towards the Closed Canyon, a fantastic way between rough rock walls, ending at a high cliff. On the way you will see the renowned Mushroom Rock, a freestanding rock in the shape of a champignon. You can discover this canyon with us. Then you will cross a mountain and trek through a valley until you arrive at the picturesque open space known as the Wadi Disco; colorful rocks will enchant you on your way. 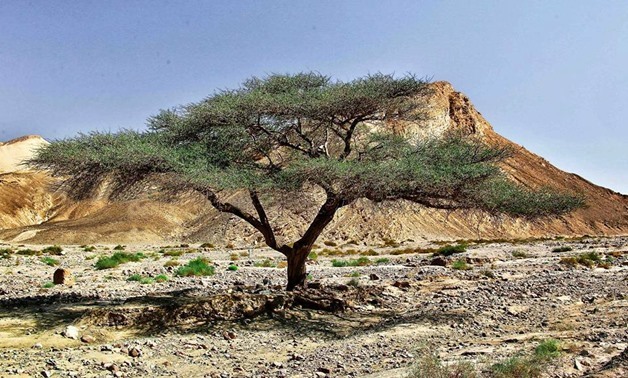 In the wadi you will make a relaxed break and enjoy lunch under an acacia tree. In the Wadi Mileihis at the foot of a sandstone mountain you will encamp in a small peaceful garden around a spring. After breakfast we will trek towards the Wadi Thamila. We will make a break for lunch en route. 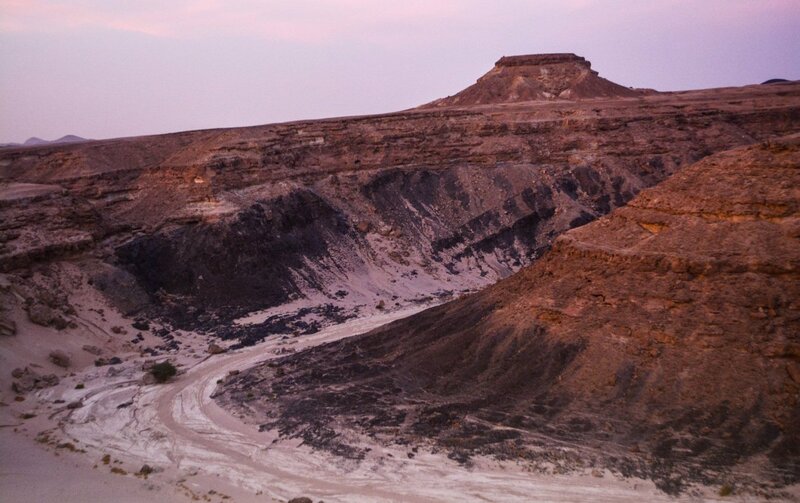 Enjoy the great landscape for the last time; in the Wadi Thamila a jeep is waiting to take you back to your hotel. This concludes our program and services.